Vale of Rheidol Railway. 1971/07/11. 2-6-2T No. 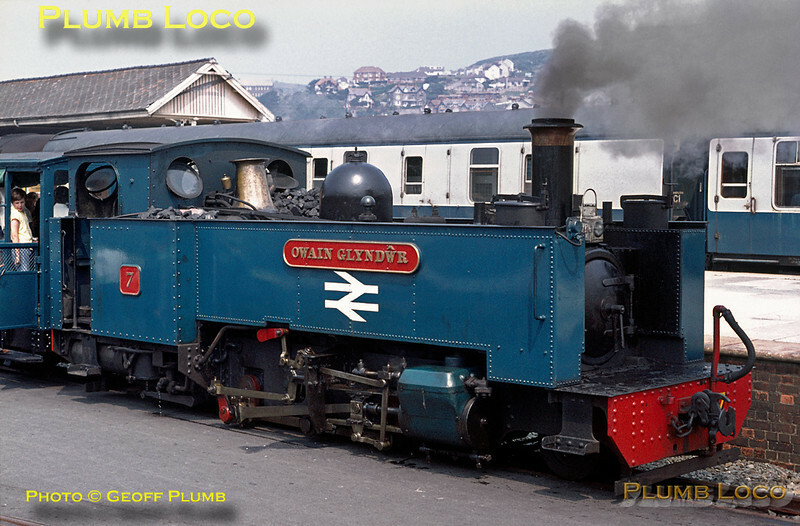 7 "Owain Glyndwr" waits in the former Carmarthen line platforms at Aberystwyth station at the head of a special in conjunction with an LNER Society tour from Euston, with the stock of the mainline train beyond it. Sunday 11th July 1971. Slide No. 7271.